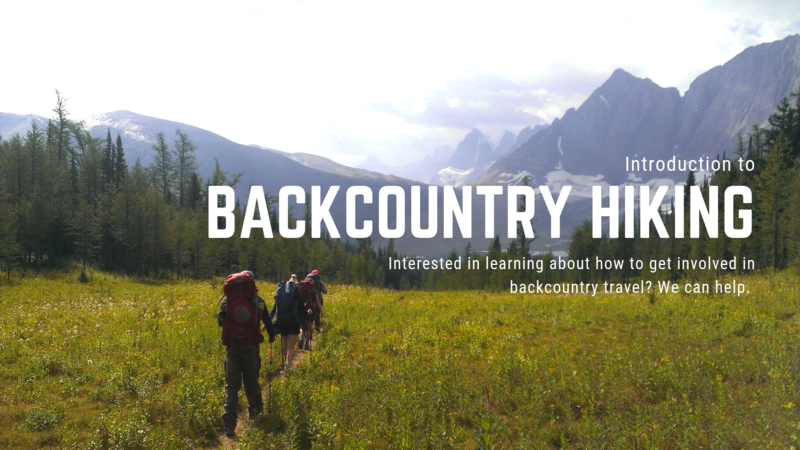 Interested in learning about how to get involved in backcountry travel? Unsure of where to start or what you need? We can help! We have invited three knowledgeable outdoor backcounrty instructors to help shed some light on three key subjects to help get you started. Sign up for individual sessions or sign up for all three! Know what you need and how to use it! Say goodbye to food fatigue forever! This complete beginner course will help you take your first steps toward future backpacking trips. We will be covering three topics over three days. The equipment portion of the program will focus on what gear you will need to take with you into the backcountry. We will discuss tents, backpacks, sleeping bags and pads, footwear, headlamps, and various other bits and pieces. We will talk about different types of each piece of gear, what you should look for and where you should look when purchasing your first pieces of backpacking gear. 1) How to dehydrate fruits, vegetables, meats, and other ingredients for producing amazing near-instant meals anywhere. 2) Common pitfalls are detailed, along with easy tips to help ensure success. Learn about storage, shelf life, dehydration decision making, as well as what ti buy and why. 3) Learn how to convert fresh recipes to use your dehydrated products so you can personalize your recipe collection and take your favourites on the trail. 4) Receive five star tested recipes from various sources and information on where and how to find more amazing recipes. 5) Working in groups, create or sample more than ten trail-friendly breakfasts, soups, and dinners sure to satiate the appetite. Sunday May 12 - Navigation. This course will teach you how to navigate in the backcountry using different tools from compass to GPS. Every person should know how to make it to their destination and make it back out. You will get the opportunity to use different navigation tools outside. Dress for the weather. Do not forget your hiking shoes!